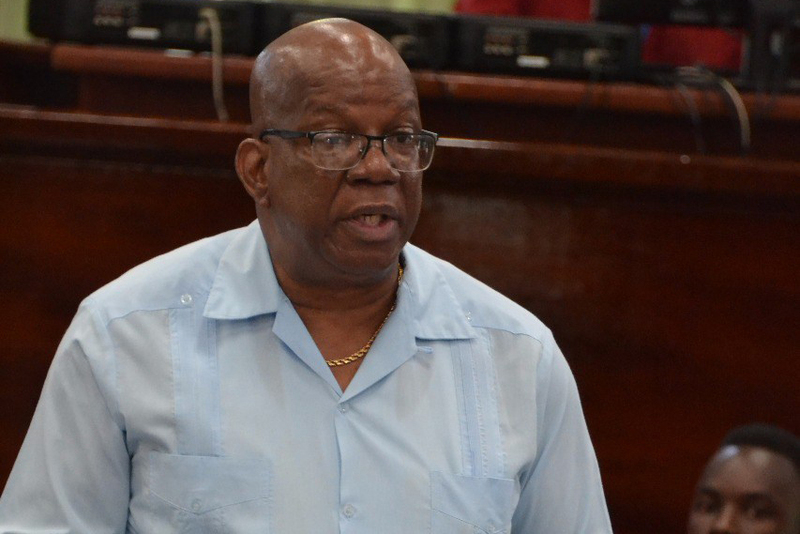 Finance Minister Winston Jordan yesterday presented the 2018 mid-year review to Parliament and upped the projected growth rate to 3.7% for the year but the key sectors of sugar, gold and rice were down and there were also unsettling figures on balance of payments and foreign reserves. Earlier this year, Jordan had sharply revised downwards the projected growth rate for the year from 3.8% to 3.4%. Yesterday, on the strength of the six-month performance, he upped the projection to 3.7% though key sectors continue to underperform. The review said that Guyana’s economy is estimated to have grown by 4.5 percent by midyear comparing favourably with the revised growth rate of 2.5 percent for the first half of 2017. Non-sugar growth rate is estimated to have climbed to 5.1 percent from a revised 2.8 percent. The report said that preliminary data indicated that growth for the first half of 2018 was more broad-based than the previous year, with robust performances in agriculture, fishing and forestry, of 3.4 percent; services, of 8.2 percent; and construction, of 13.4 percent. The significant hike in the construction sector was evidenced by higher building imports by 24.7 percent, supported by the higher pace of execution of the Public Sector Investment Programme (PSIP), which rose by 3.9 percentage points above the previous half year. Private sector investments also rose, with, for example, real estate mortgages growing by 5.0 percent at the end of the review period, compared to 4.1 percent at the previous half year. In the first half of 2018, the agriculture, fishing and forestry sector expanded by an estimated 3.4 percent, despite the sugar and rice industries contracting by 30.6 percent and 3.8 percent, respectively. The other crops, fishing, livestock and forestry industries all saw growth over the same period, with the latter two expanding by 29.1 percent and 18.1 percent, respectively. The mid-year review said that the growth of the forestry industry was driven by the production of logs and roundwood, which jumped by 24.8 percent and 46.6 percent, respectively. “This favourable outturn was largely due to increased demand from China, India and the US, which saw exports in the first quarter of 2018 increasing by 17.1 percent; by the end of the first half the increase was 7.9 percent”, the review said. Producers also expanded their output in response to local demand from both the private and public sectors. Growth in the forestry industry was also heightened by higher plywood production, which grew by a robust 73.4 percent, with the main producer signaling the intention to maintain production above 1,000 cubic metres per month. “The forestry industry is expected to continue its expansion into the second half and remains on track to at least meet its growth expectation of 8.0 percent, for 2018. However, a cautionary note: the prolonged rainy season has resulted in a significant deterioration of hinterland roads and poses a risk to production. Recognising this, the Government has intervened to implement emergency maintenance works”, the review said. Returns from the fishing industry were mixed in the first half of 2018. While the overall industry grew by 5.6 percent, the output of shrimp and tuna and from aquaculture declined by 2.0 percent, 61.5 percent and 22.4 percent, respectively. “The reduction in total shrimp production was due to declining seabob shrimp output, resulting from an influx of sargassum weed, which create difficult conditions for fishing. Additionally, exporter preference for larger-sized seabob shrimp has contributed to the downturn. Tuna production experienced a sharp decrease, as fewer vessels were dedicated to this activity, while the main market operator continued to undertake capacity building”, the review stated. Aquaculture production was held back by the need for restructuring of a large 30-pond facility, in Region 2, which recently changed hands. Total finfish production grew by 15.3 percent, despite a ban on catfish species from Guyana. This ban, which became effective on March 1, 2018, was applied by the United States Department of Agriculture, as a result of a lack of compliance with new US requirements. To become compliant, the review said that the Government has implemented several measures including: tendering for the supply of a monitoring vessel; and gazetting new regulations, under the Fisheries Act, to improve compliance with requirements for vessel monitoring systems and by-catch reduction. Notwithstanding a slide of 3.8 percent, in the rice industry, to 329,504 tonnes, the review said that there were some promising signs, in the first half of 2018, with industry yields rising to 5.9 tonnes per hectare. Yields are expected to grow further, in the second half of 2018, in light of the release of a higher yielding strain – GRDB 15 – by the Guyana Rice Development Board (GRDB), in April, 2018. Farmers planting this breed can expect to harvest as many as 8 tonnes per hectare, if recommended practices are abided by. In view of this, production from the second crop is expected to be in excess of 300,000 tonnes of rice. By the end of June, approximately 69,000 hectares of rice were sown, compared with 74,562 hectares, at the end of the first half of 2017. The review said that this drop was largely due to a prolonged rainy season. The planned divestment of the Enmore, Rose Hall and Skeldon estates continued, with the auditing of the assets of these estates near completion. “At the end of this period, production of the first crop reached 34,451 tonnes, 4.6 percent below the forecast and 30.6 percent below the first crop of 2017. The shortfall was due to factors in both field and factory. The company was unable to achieve the tillage and planting programmes for the first crop, partially due to delays in the procurement of spare parts and fertilisers and poorly maintained infrastructure. Issues at the time of harvest, such as poor attendance by workers and adverse weather, resulted in an inadequate supply of canes, which led to the frequent stoppage of grinding. These challenges have been responsible for a downward revision of 15.7 percent in the projection of the output for the second crop, to 66,898 tonnes. The 2018 growth projection for the industry has been revised to a further contraction in the 2017 production of 32.3 percent”, the review said. In the first half of 2018, declared gold production slid to 288,114 troy ounces, 19.4 percent below the original projection and 9.1 percent below the level achieved at the end of June, 2017. “The two large mining companies declared a total of 128,175 troy ounces, or 44.5 percent of overall declarations, their highest combined level since operations began. This increase was driven primarily by Troy Resources Limited, which experienced stable mining and processing conditions, resulting in the accumulation of an ore stockpile that can be processed during the two month wet season. On the other hand, the declaration of small and medium scale miners fell to its lowest first-half level, since 2010. This was largely attributed to higher operational costs, stemming from higher fuel prices, and the deterioration of hinterland roads. Together, these factors served to dampen the expected positive response of small and medium scale miners. Concerns also remain about the smuggling of gold, produced in Guyana, to neighbouring jurisdictions, where more favourable fiscal terms prevail”, the review stated. In April 2018, production by the Bauxite Company of Guyana Incorporated (BCGI) was 40.1 percent below the level projected for that month. This was due to a temporary suspension of the operations of Oldendorff Carriers in response to the announcement of planned sanctions by the US on Rusal, the majority owner of BCGI. “Notwithstanding, the two producers are expected to continue to maintain high levels of production for the remainder of the year, with favourable market conditions forecasted to persist. The forecast growth for the industry, for 2018, has been revised upward from 23.3 percent to 29.9 percent”, the review said. The manufacturing sector declined, during the first half of 2018, by 2.4 percent, primarily due to the reversal in the production of sugar and rice. On the other hand, light manufacturing expanded by 1.2 percent. While the mining and quarrying and manufacturing sectors are expected to contract, this will be offset by growth in all other sectors. The performance of the economy, in the first half of 2018, has resulted in a marginal upward revision of the annual growth rate from 3.4 percent (revised at the time of the IMF Article IV Consultation, in April, 2018), to 3.7 percent, slightly below the original projection of 3.8 percent. The overall balance of payments registered a deficit of US$139.8 million, in the first half of 2018, compared with a deficit of US$46.0 million, at the end of the same period last year. “Guyana’s balance of payments deficit increased further as a result of a significantly higher deficit on the current account, which more than offset a surplus on the capital account. The weakening of the current account, from a deficit of US$79.2 million to a deficit of US$194.1 million, was due to higher deficits on the merchandise trade and services accounts, notwithstanding increased net unrequited transfers. The negative balance on the merchandise trade account widened to US$218.0 million during the first half of 2018, from US$112.2 million, in the first half of 2017, attributed to stronger growth in total import payments, which rose by US$137.8 million over the review period. Growth in imports was driven by an overall expansion in all major categories – intermediate goods by US$92.6 million, capital goods by US$41.1 million and consumption goods by US$3.6 million”, the review stated. It stated that while there was also growth in total export earnings, of US$31.9 million, over the reporting period, it was not enough to offset the more significant rise in total import payments. “Growth in export earnings was mainly driven by an increase in rice and bauxite exports which expanded by US$33.9 million and US$14.9 million, respectively, supported by an increase in both volumes and prices. Noteworthy growth in rice export volumes, which expanded by 42.6 percent to 289,880 metric tonnes, was driven by further penetration into the Cuban, Mexican and other markets. Additionally, export earnings increased from fish and shrimp, and rum and other spirits, within the “other exports” subcategory, which recorded growth of US$6.8 million and US$3.6 million, respectively. “In contrast, receipts from the other major export commodities – gold and sugar – declined, during the first half of 2018, over the first half of 2017, by US$19.0 million and US$9.6 million, respectively. The decline in export earnings from gold was mainly due to lower export volumes, which decreased by 12.8 percent, between half-years, to 282,615 troy ounces. This unfavourable outturn was largely due to challenges faced, by the Guyana Gold Board (GGB), with respect to gold smelting and the attainment of a cost-efficient quantity of gold for export”, the review explained. It said that the half year deficit on the overall balance of payments was financed by a drawdown of the foreign assets of the Bank of Guyana, to the tune of US$110.6 million, and “exceptional financing in the form of debt forgiveness, of US$28.6 million, and debt relief, of US$0.7 million. In addition, as a result of the drawdown, the Bank’s foreign reserves fell to US$473.4 million at the end of the review period”. The overall balance of payments is expected to record a higher deficit, at the end of 2018, of US$182.1 million, when compared with 2017. The review warned of a number of possible downsides for the year and also cited climate change. “Higher than expected levels of rainfall and the impact of climate change continue to threaten economic activity across several sectors within the economy – sugar, rice, forestry, mining and construction, among others – which could constrain the overall growth performance for the year. Within the central government, two mitigating factors are the increased expenditure that has been provided for drainage and irrigation; and the reversion of the construction and maintenance of several interior roads that service the mining and forestry industries to the Ministry of Public Infrastructure”, the review said. absence of a board to oversee the management of the remaining estates. 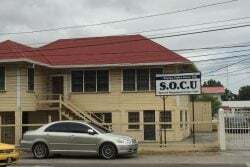 “The SPU (Special Purpose Unit) will need to accelerate efforts to divest/diversify the closed estates in order to provide a much-needed injection of cash to facilitate retooling and the continued operations of the restructured GuySuCo, under a soon to be named Board. If this does not materialise quickly, there is a real danger of GuySuCo renewing its reliance on the Treasury beyond the sum budgeted in 2018”, the review warned. The pace of execution of the PSIP improved from 23.6 percent, on average, to 31.8 percent at the half year, 2018. However, the review said that “several constraining factors continue to stymie further progress, including: the issue of inadequate leadership across several key sectors, which is further complicated by a limited pool of evaluators and qualified contractors; the absence of procurement planning; and the inability to attract qualified engineering and procurement specialists at the prevailing salaries. Cabinet is in the process of addressing the weak management across Budget Agencies. Having undertaken the PIMA, an action plan has been drafted and implementation of project appraisal systems is anticipated to improve the pace of implementation in future years”.